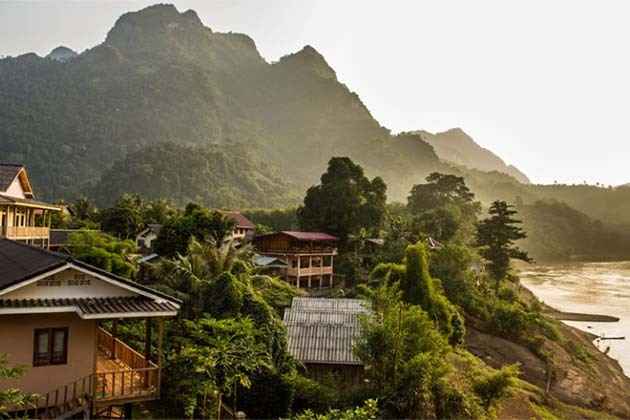 Travel to Laos like you’re lost in the middle of mystery land. 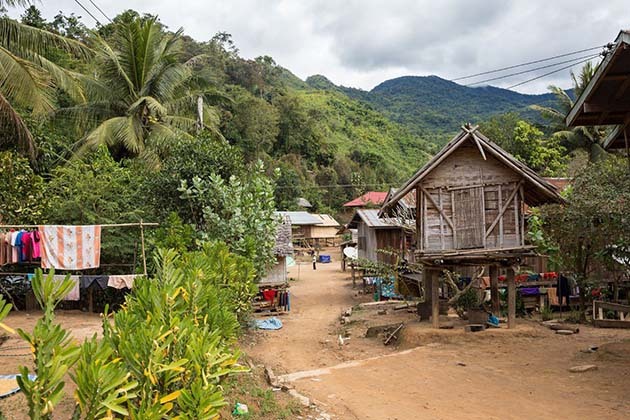 Slow down and immerse into the local way of life on this trip of Northern Laos. 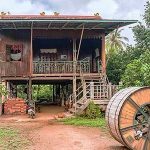 Enjoy the peaceful life in the authentic homestay, get more about the local life and traditions. 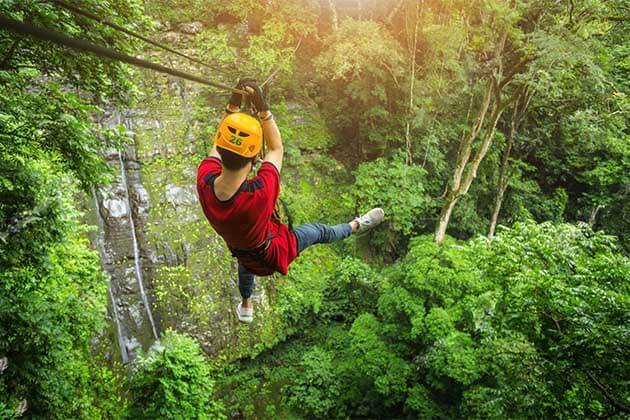 Complete with awe-inspiring natural scenery and cultural landmarks. 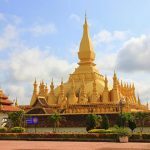 Travel to us, we promise will bring a truly unique insight into the culture of beautiful Laos. 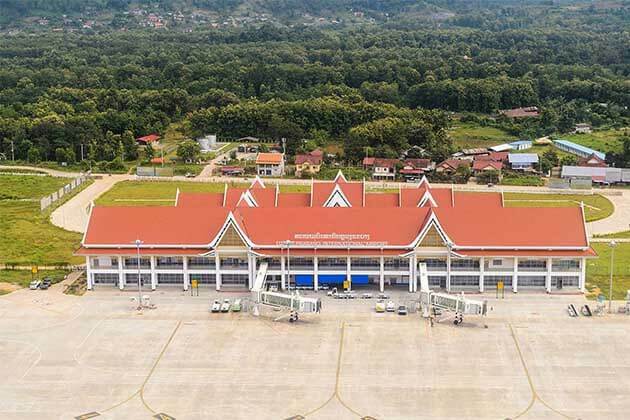 As soon as you landed into the Luang Prabang Airport, Our local guide and driver will pick you. 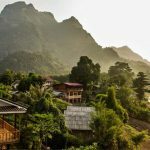 Start your day by driving to Nong Khiaw, a rustic village nestled on the banks of the Ou River in northern Laos. Upon your arrival, settle down for a delicious lunch and admire the dramatic scenery of limestone crags towering over the river. 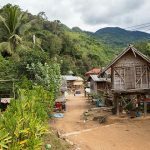 Set your foot in Nong Khiaw, move to the hotel and check in before visiting Pha Tok Cave which included 3 caves once provided shelter to soldiers and villagers during the American bombing of the country. 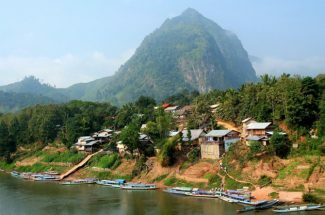 Alternatively, for the nature lovers who can spend the afternoon hiking a top to the “ Nong Khiaw Mount View Point”. 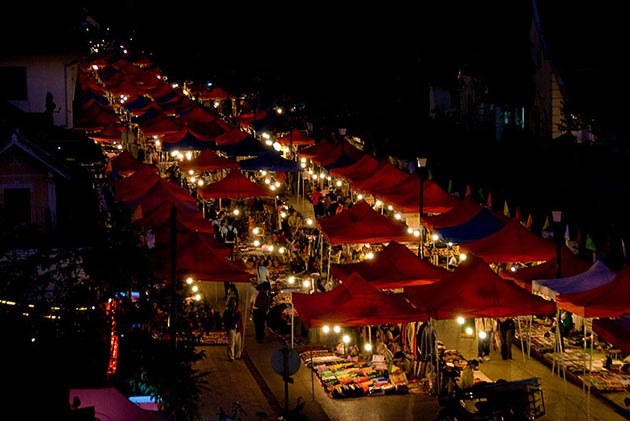 Travel around 3 hours, you will see the magical views with 360 degrees of the surrounding country. Gaze as the river snakes its way through the stunning mountain and spots small villages in the distance before heading back down. 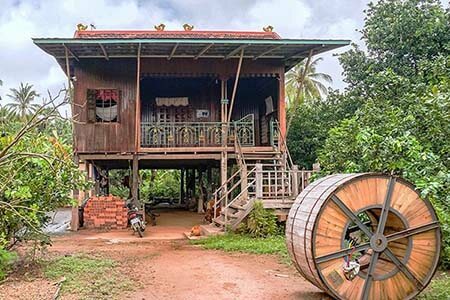 Enjoy a special breakfast in the laid back riverside, hop on board a traditional longtail boat and journey down the river until reaching Ban Somjam Village. 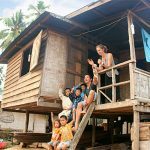 The village which is known as the home around 70 families, spend your day to explore the village, getting to know the local community and immersing into the traditional culture. Take a plunge in the Ou River to cool off and connect with the kids over a game of football. Observe the local women weave traditional garments whilst the men spend the day farming, fishing, and hunting. In the evening, enjoy the dinner with the local, then take part in a traditional “baci” ceremony, which is a ritual performance on special occasions. During the ceremony, you will receive a piece of thread to tie around the wrist for good luck before digging into a tasty dinner and chatting to the villagers. 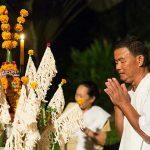 End of the ceremony, it’s time to go to bed, you can choose to stay in the house of the village headman or retire to a nearby bungalow. 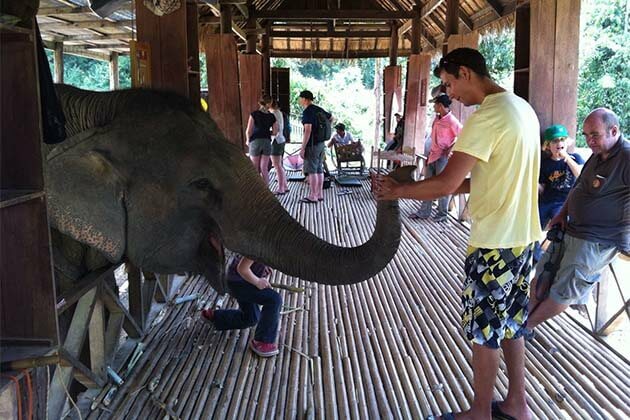 Both accommodation options provide comfortable mats, pillows and mosquito nets as well as basic bathroom facilities. Snuggle into the bed and enjoy a good night’s rest within this rustic mountain village. Enjoy the breakfast in the village before saying goodbye with the local and boarding a boat back to Nong Khiaw. 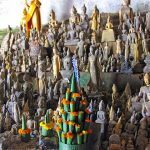 From here, on the road, drop in visiting Pak Ou caves which is known as placed a thousand Buddha statues in the past by the pilgrims. 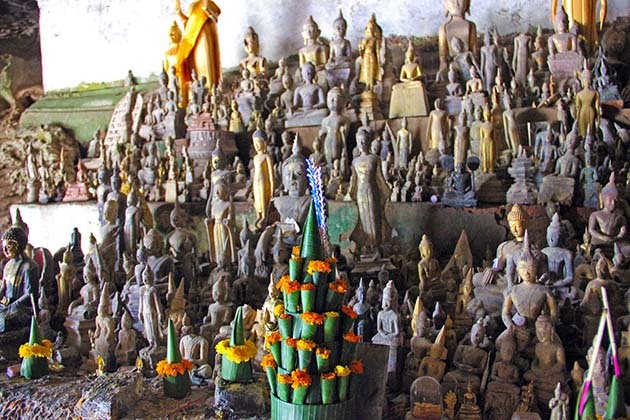 Besides, you also visit two main caves in Pak Ou, Tham Ting and Tham Thung, which owned many beautiful limestones with different strange shapes. 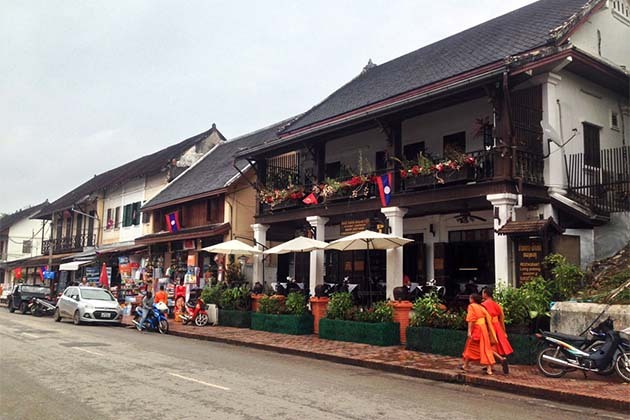 On the way back to Luang Prabang, sit down for lunch at a local riverside restaurant. Take a few rests before continuing the trip to the north. Floating on the boat, immerse yourself in the middle natural scene, you stop at a weaving village and observe the local artisans work on traditional looms and craft beautifully patterned textiles.